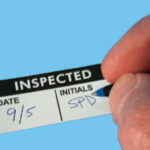 Calibration Labels manufactured by Stranco Inc. are just one of four groups of labels we call Write-on Status Labels. 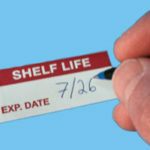 Write-on Status Labels are pre-printed labels with a specially designed top-coat that allows them to be written on easily with markers, pens and pencils. The TC Series of labels are constructed of low-profile 2.3 mil white polyester with pressure-sensitive permanent acrylic adhesive. Use the TC Series when permanence is the primary concern. The TCSL Series of labels are a self-laminating version of the TC Series. Each label has a clear self-laminating film that is used to “seal-in” the hand written information on each label. The self-laminating TCSL Series is ideally suited for labels exposed to rough use, abrasion, or chemicals. 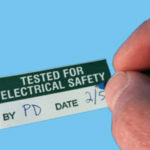 The QC Series of labels are constructed of 11 mil vinyl coated cloth with a pressure-sensitive rubber adhesive. The high-tack rubber adhesive provides excellent adhesion, even on rough or textured surfaces. Use the QC Series when you desire easy removal or repositioning of the label. 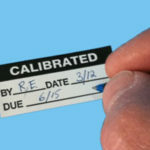 Stranco manufactures a wide selection of Calibration Labels to ensure you find the right calibration label for your calibration process. If you don’t see the exact Calibration Label or color that you’re looking for, please contact us and we can create a custom solution to fit your needs.